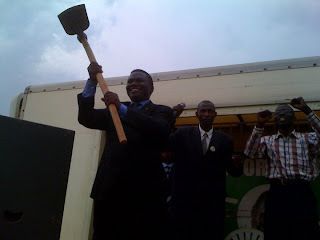 Mutooma, Tuesday 21 December 2010: Democratic Party candidate Norbert Mao has said he takes great exception to Museveni's hypocrisy in supporting the institutions of traditional leaders everywhere else while undermining and sabotaging that in Ankole. Mao said that before the British forged the Ugandan state, communities were held together by traditional institutions. 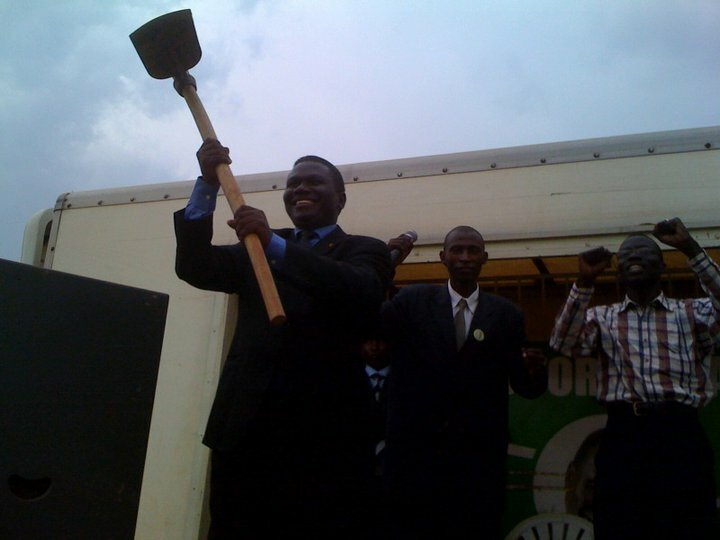 Mao pledged that DP would support the Obugabe in Ankole. He pledged that unlike Museveni he would not undermine any tradional institution. Mao said that there is no basis for fearing traditional institutions because they are now constituional monarchies subject to laws put in place by democratically elected leaders. Mao said Museveni's supression of traditional institutions is motivated by his despotic ambitions. "Museveni's support for traditional leaders is purely self-serving and opportunistic. Deep in his heart he has only contempt for traditional institutions and their heads." Mao said. Mao was speaking to residents of Mitooma Town Council on Tuesday. He said was committed to showing Ugandans that it is possible to have change without bloodshed and chaos. "Let Museveni be the last President to walk on blood and to jump over deadbodies on his way to State House." Mao said.